Serbs committed horrendous war crimes not only in and around Srebrenica, but throughout Bosnia and Herzegovina. Not to mention massacres against Bosnian Muslim population in World War II, when Nazi-collaborationist Serbs slaughtered more Bosniaks in one day [see here] than during the entire Srebrenica massacre. Don’t you dare to ever forget. PHOTO / Don't Forget! 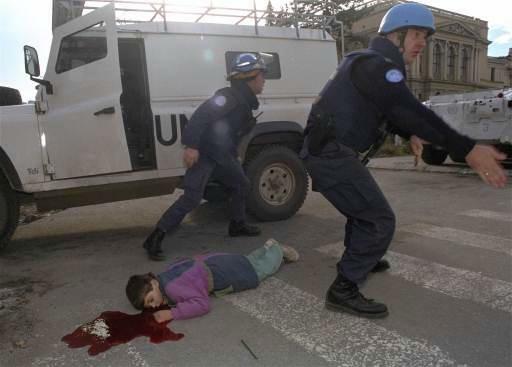 -- Body of 7-year-old Bosniak boy NERMIN DIVOVIC. 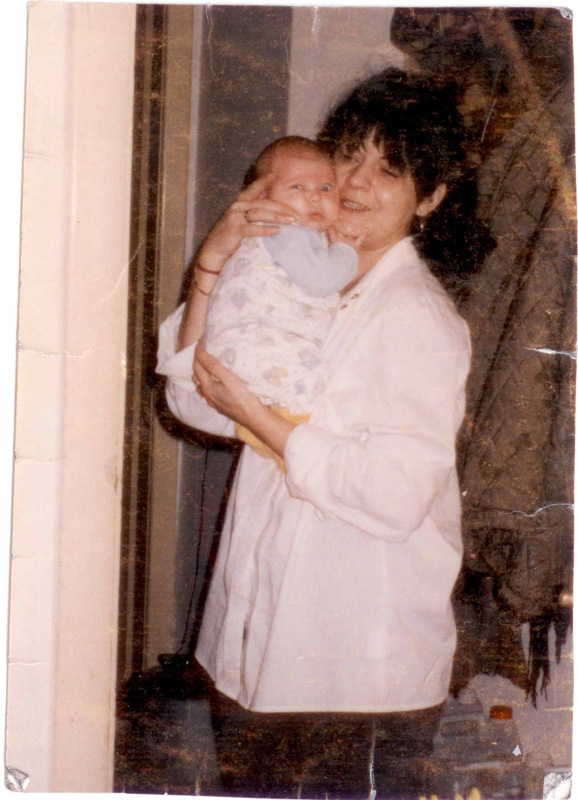 He was killed by Serb sniper in Sarajevo on 18 November 1994. He was one of more than 1,000 innocent Bosnian Muslim children and babies killed by bloodthirsty Serbs during the siege of Sarajevo. Photographer: Enric Marti. PHOTO / Don't Forget ! 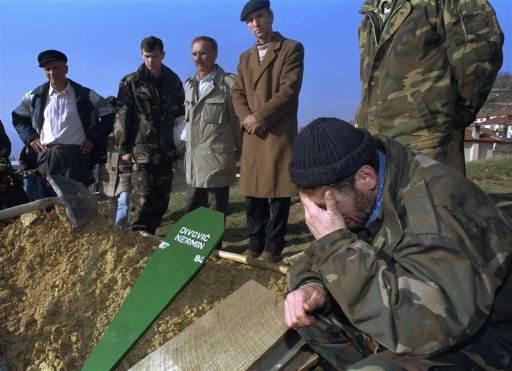 -- Paso Divovic, right, father of seven year old Nermin, weeps as his son is buried in Sarajevo Monday, November 21, 1994. Divovic, a Bosnian government army soldier, was called from front line fighting to attend Nermin's funeral, the boy who was killed by a Serb sniper along Sarajevo's notorious Sniper Alley Friday. Photographer: Enric Marti. PHOTO / Don't Forget! 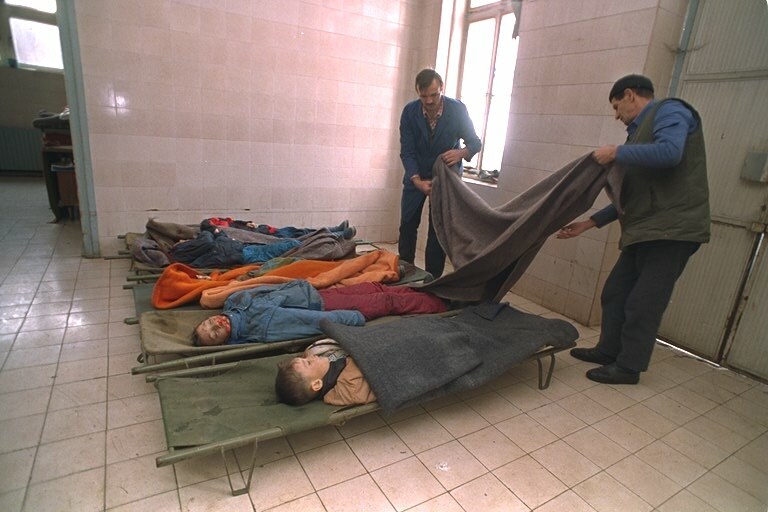 -- Bodies of Bosniak children in Sarajevo morgue killed by Serb snipers during the siege of Sarajevo - the longest siege of a capital city in the history of modern warfare. The siege lasted from April 5, 1992 to February 29, 1996. Credits: Maud S. Beelman, AP foreign correspondent. PHOTO / Don't Forget! 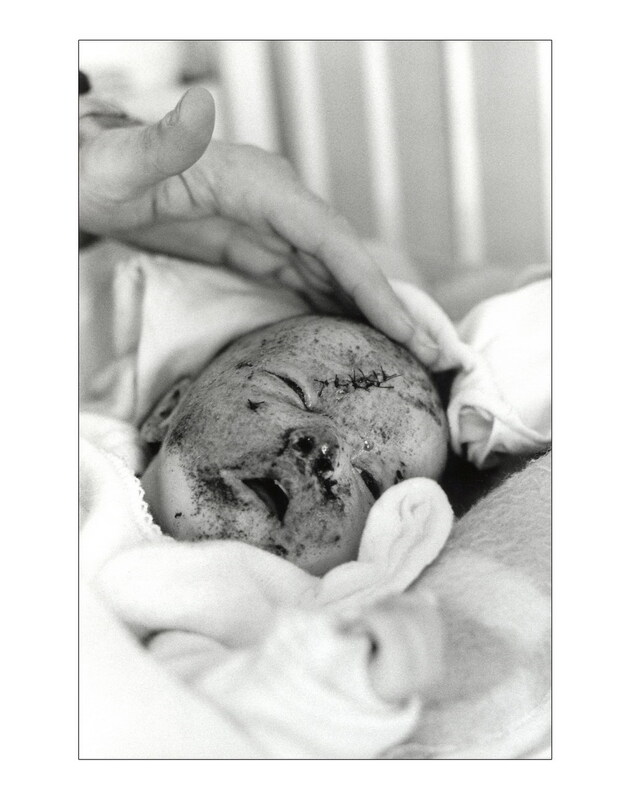 --- Little Bosnian Muslim baby girl Nalena Skorupan was killed by Serbs during the siege of Sarajevo on 7 January 1994. Photographer: Gervasio Sánchez. PHOTO / Don't Forget! --- Islamic funeral ("janazah") of Bosnian Muslim baby Nalena Skorupan and her aunt Mirsada Demirovic. 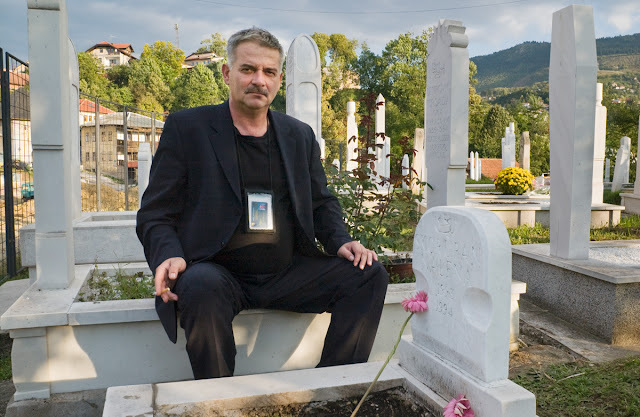 Both innocent Bosniak victims were killed by Serbs during the siege of Sarajevo. Photographer: Gervasio Sánchez. PHOTO / Don't Forget! ---Islamic graves of baby Nalena Skorupan and Mirsada Demirovic in Sarajevo. They were killed by Serbs during the siege of Sarajevo. Photographer: Gervasio Sánchez.